Description: Close up shot of an old red brick building with window murals in Silver City New Mexico. Checker or chess board and historical themed art replaces windows on a historic building in small town. 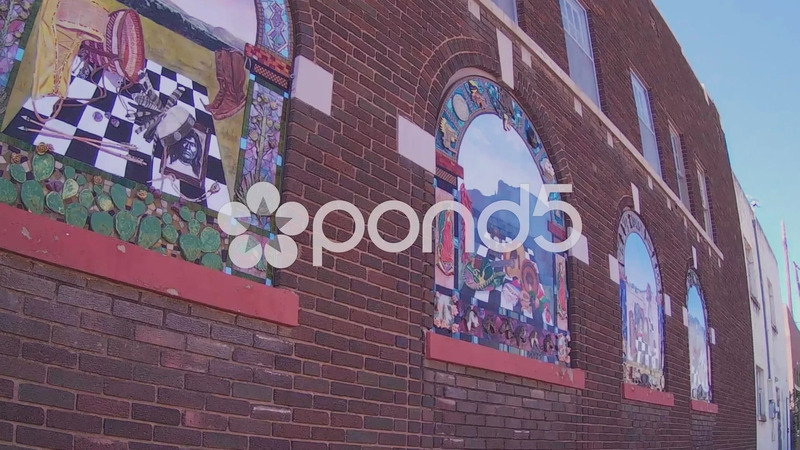 Part of a series of clips by ChromaVid featuring building and business stock video.